Female spies were not unheard of in 17th century Europe. In fact, espionage by women was occasionally seen as preferable because it was less expected and—if caught—a woman’s punishment (a few months in the Tower of London, maybe) was less drastic than a man’s (death by hanging). 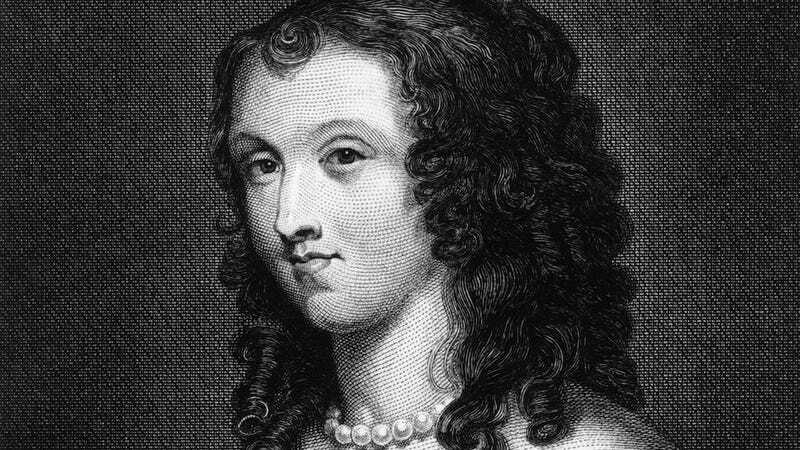 Among these spies were poet/playwright Aphra Behn (pictured above) and Queen of Bohemia, Elizabeth Stewart. The tactics used by these female spies were nothing short of brilliant. In one (recommended by a female spy to her brother), a letter writer uses artichoke juice as an invisible ink that only appears when the paper is heated. In another, an egg shell is softened by vinegar, cut into, inserted with a message and rehardened by cold water. Thank you, Dr. Nadine Akkerman and Atlas Obscura, for introducing me to my new favorite hiding place. If anything strange happens to me, check my eggs.